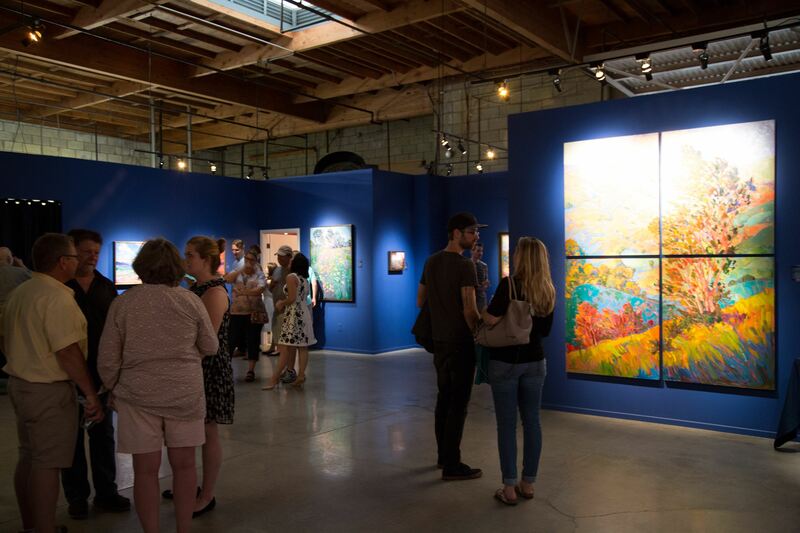 Erin Hanson fans and collectors visited her Los Angeles gallery for an evening of art, microbrews and live music to celebrate her most recently published book, Open Impressionism Volume II. 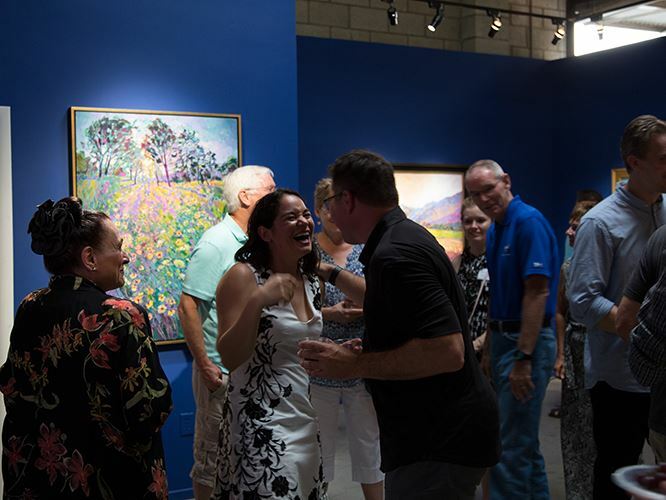 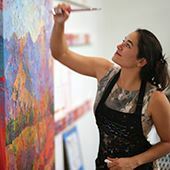 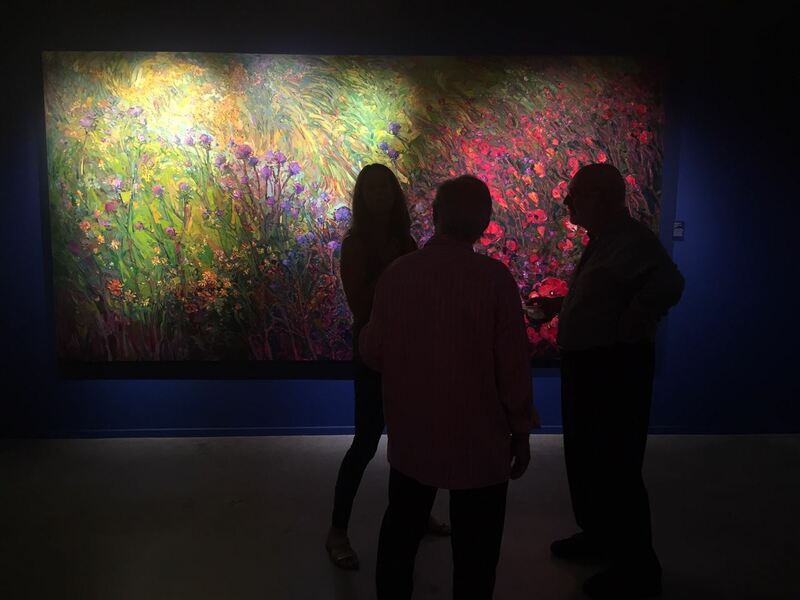 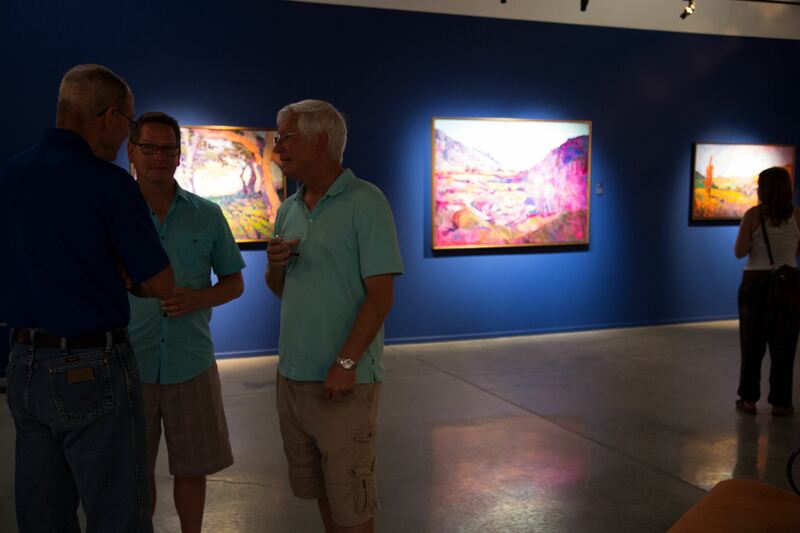 Guests were also able to experience her newest works including the tiered hills of Layered Light and vision of florals in her 13-foot masterpiece, Field of Blooms. 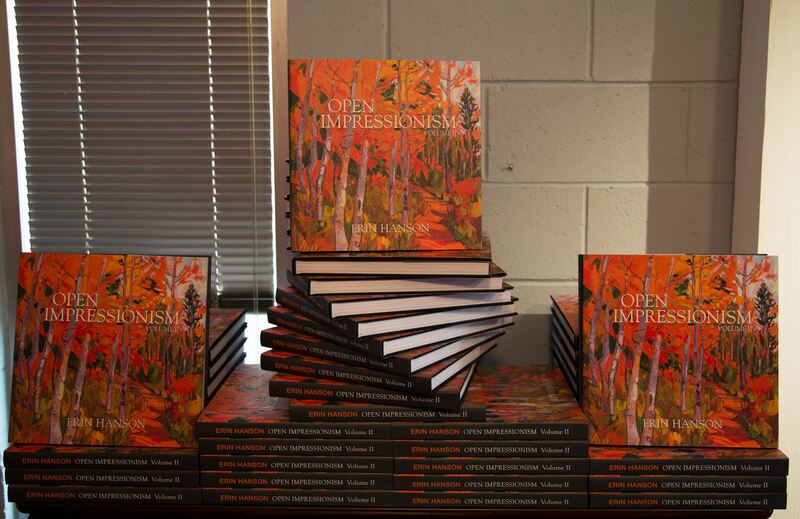 Open Impressionism Vol II features 300-pages of Hanson's striking impressionistic landscapes. 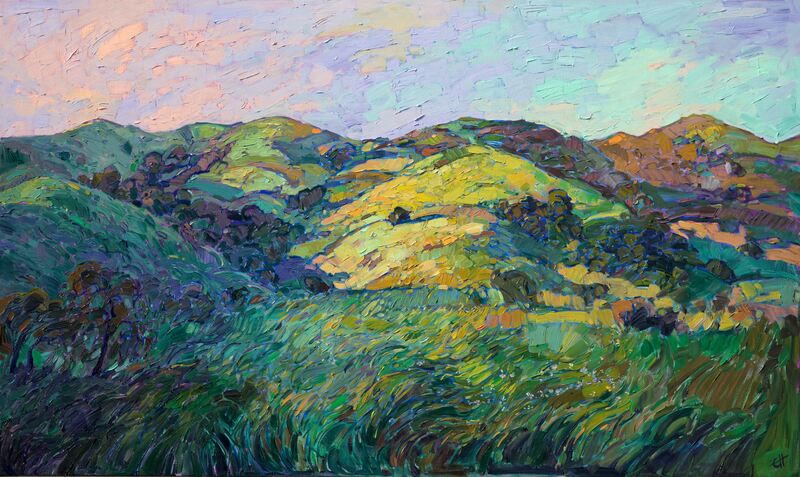 Flipping through the pages of this book transports you across the country, from the wildflowers of Texas to the jutting cliffs of the California coast, all through the eyes of contemporary master Erin Hanson. 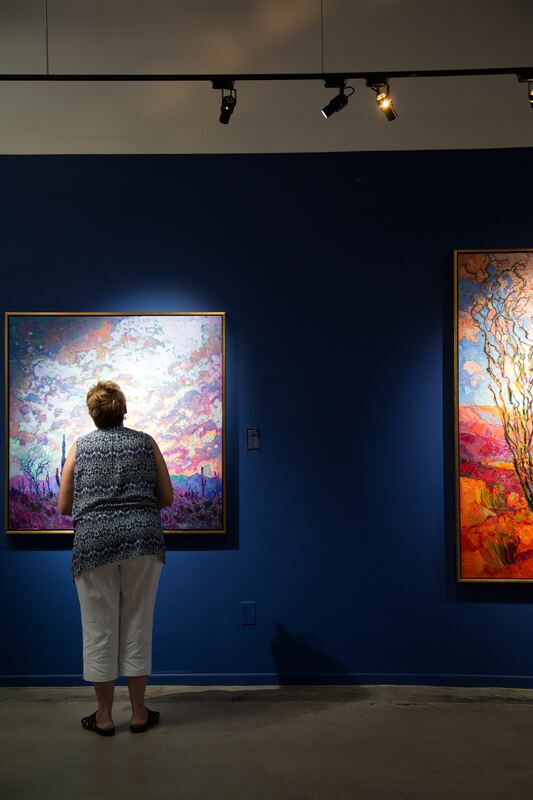 Here a visitor experiences Saguaro Dusk, the familiar ocotillos and Saguaros of the southern Arizona desert awash with vibrant huges of purple and peach.